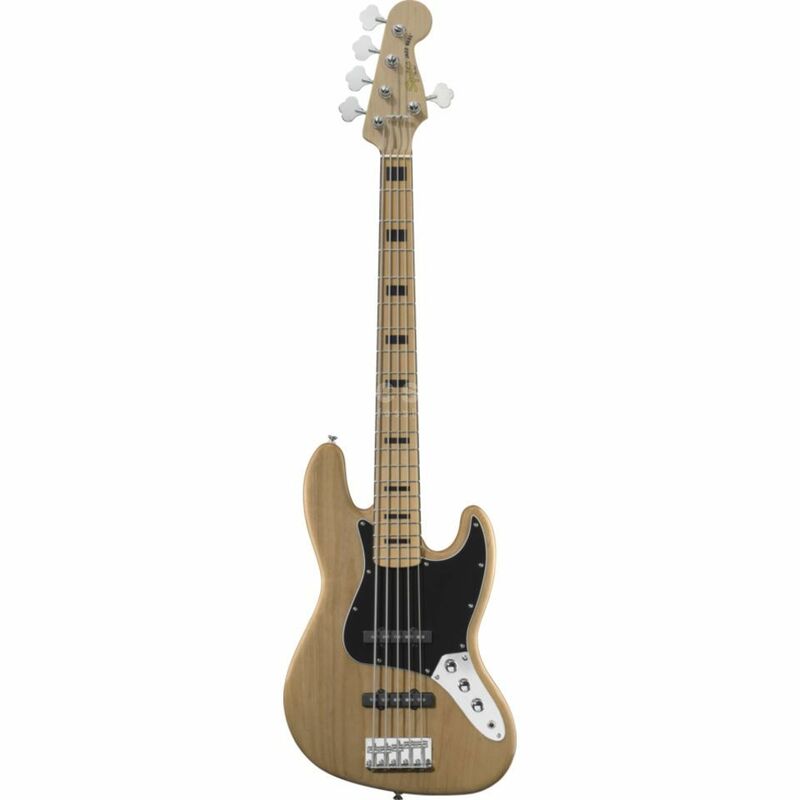 The Squier Vintage Modified Jazz Bass V in Natural is a 5-string bass guitar that perfectly combines the look and vibe of classic basses from the ‘60s and ‘70s with the features and playability of modern instruments. The Squier Vintage Modified Jazz Bass V features a Soft Maple body that exactly mimics the contours of the classic Fender Jazz Bass. This is joined by a 34”-scale Maple neck with black binding and block inlays. These combine to produce a striking looking bass that produces a wide range of amazing tones and is lightweight and comfortable to play. From a hardware perspective, the Squier Vintage Modified Jazz Bass V comes equipped with a pair of Fender-Designed Single-Coil Jazz Bass pickups that are accompanied by a pickup-specific volume controls and a master tone control. This setup allows classic Jazz Bass tones to be easily achieved thanks to its simplicity and user-friendliness. Joining the pickup selection is a stand vintage-style 5-string bridge, standard open-gear tuners and a three-ply black/white/black pickguard.